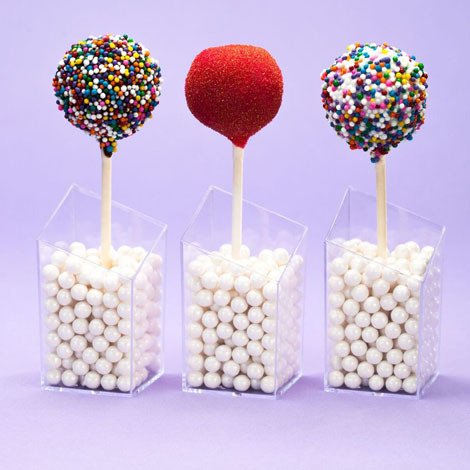 A fun alternative and a favorite for kids and adults alike, the Cake Pop is a scrumptious combination of moist cake and delicious frosting all contained in a small ball on a stick. Always a crowd pleaser and easy to sneak away in your purse. Enjoy! Cake pops are available for pick up or deliver (a minimum of $40 for delivery). All orders must be placed 3 days prior to desired delivery date. An associate will contact you with your order confirmation. For delivery information, please contact us.